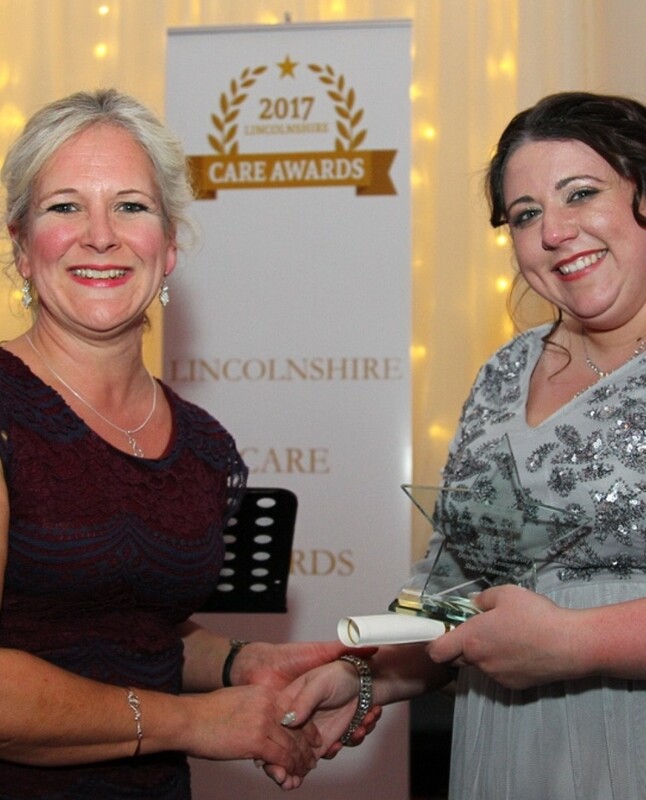 Representatives from Bishop Grosseteste University (BGU) attended the Lincolnshire Care Awards to present the BGU Outstanding Learner Award on Thursday 22 February 2018. The provision of care in the Health and Social Care sector is becoming increasingly demanding due to the constantly changing needs of individuals and the communities served. 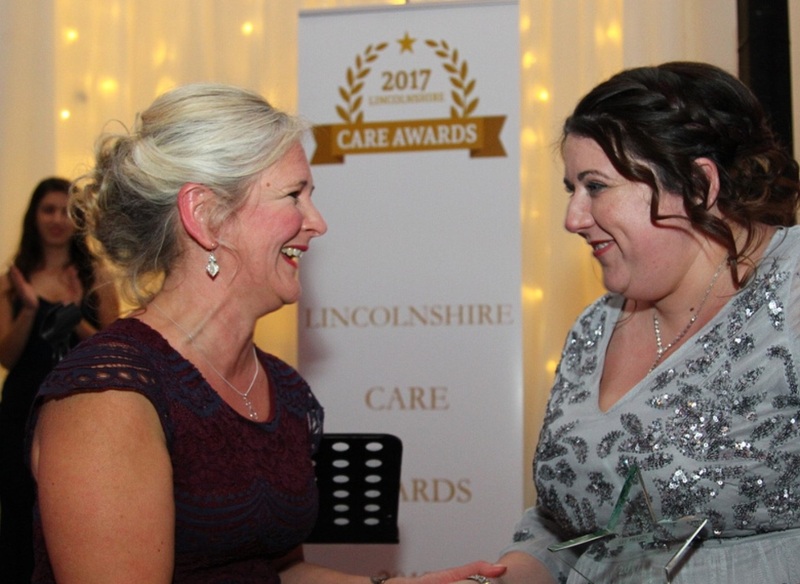 The Lincolnshire Care Awards (Developed by Lincolnshire Care Association) recognise and applaud the daily achievements of individuals and businesses throughout the Health and Social Care sector within Lincolnshire. They celebrate the tireless work of outstanding care workers, teams and organisations in a challenging sector. Now in their second year, the awards continue to grow, seeing a significant increase in nominations from across the sector, as well as a brand-new award recognising the contribution of support staff, for example domestic staff, transport staff and gardeners. The Awards were presented at a gala evening in Lincoln Assembly Rooms by BBC Radio Lincolnshire’s Melvyn Prior. They consisted of several categories such as Community Care Awards, Residential Care Award, social care award, Leadership award as well as recognizing special achievements, rising stars and BGU’s very own Outstanding Learner Award. Education and learning is one of the key elements that ensures care is delivered in the right way, to the right people, in a timely manner. The Outstanding Learner Award recognises individuals who have made the most of their learning opportunities either in a residential or community care setting, enthusiastically embracing their learning and going above and beyond to improve their knowledge and skills. Nicki Walsh, Programme Leader for Health & Social Care at BGU, judged and presented the award and stated that she was both honoured and humbled by all the individuals nominated. She was proud to present Stacey Mason with the award, having been impressed with her commitment to continued development and training. Photo credit: Shaun Smith, Kamara Photography.